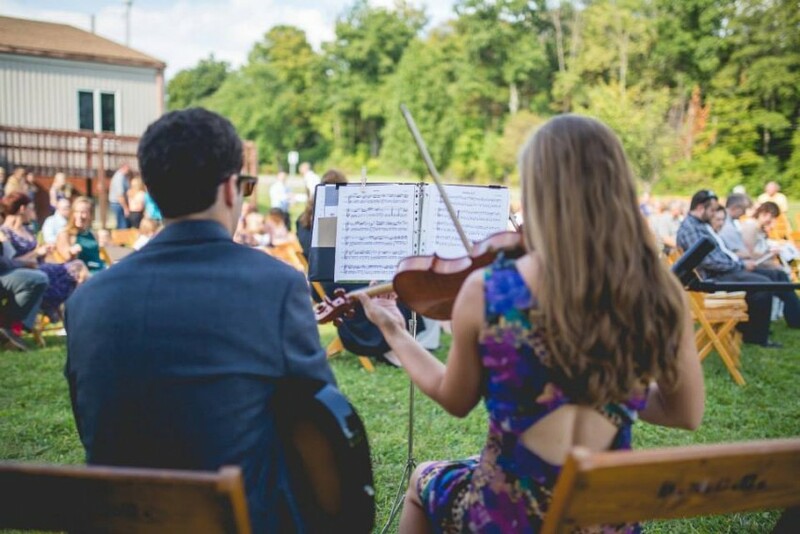 Two professional musicians; violinist and guitarist, with experience in wedding ceremonies, event receptions, and various types of background music. Recent graduates from Bowling Green State University with degrees in music. Reliable and professional; references available upon request. Great performance, on time, did not require any guidance from our side. Well done! Two professional musicians, violinist and guitarist, with experience in wedding ceremonies, event receptions, and various types of background music. Graduates from Bowling Green State University with degrees in music. Reliable and professional; references available upon request. Please contact for more information if needed. We most often don't require anything in the way of set-up or sound. Depending on the size of the event microphones may be needed. We are both classically trained, and an influence in jazz. We are available to perform classical music, as well as popular and jazz standards. We typically bring all we need, unless a microphone is needed.